Over the last few weeks, there were plenty of big events that happened. One of them is the 33rd Asean Summit that was held in Singapore – where global leaders gather together to discuss economic, political, security and socio-cultural development of Southeast Asian countries. It is important to dress well, especially for leaders who are required to be impeccable and presentable at all times. Watches, in our opinion, should be an important piece of accessory for these powerful people. However, the choice is limited for some, due to the nature and circumstances of their job. This is because it is faux pas to be too extravagant, unless the leader is from the corporate world or private corporations. Politicians usually shun expensive timepieces because of this. We think it’d be interesting to see how far we can push the boundaries with these limitations, and hence for this week’s article, we will be looking at six watches that we think are suitable for leaders. We will also keep in mind the differences between corporate and political leaders, and hence we will be selecting three watches for each of the categories. We begin the article with the Grand Seiko. Grand Seiko is one of our favourite watch manufacturers, and for a good reason as well. We have often raved about the value proposition and quality of its watches – and this particular one is no exception either. 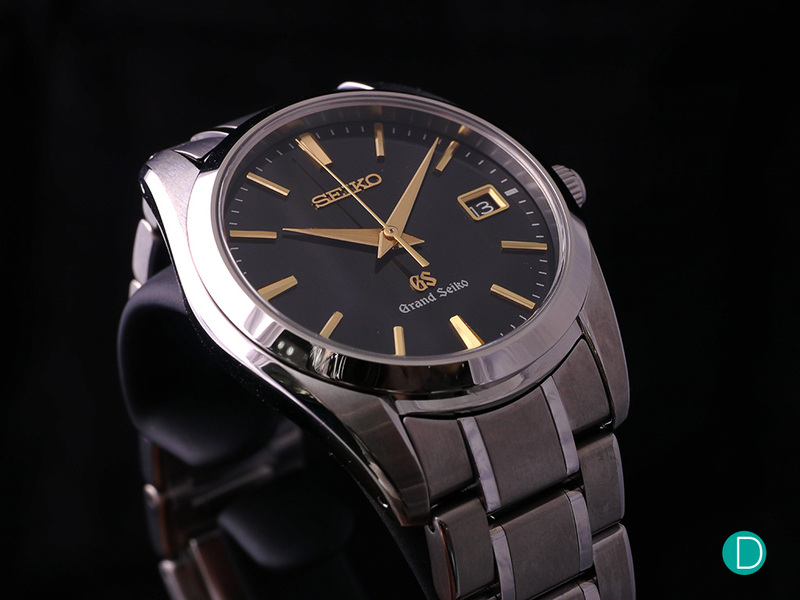 The SBGX069, which is now renamed as the SBGX269, is one of Grand Seiko’s quartz watches that feature the legendary Calibre 9F. The movement, which was manufactured since 1993, offers collectors well-made quartz watches – something that timepieces from this category is not normally associated with. While this is not Grand Seiko’s finest pieces of work, but the SBGX069/SBGX269 is sophisticated and functional enough for someone who is looking at a decent and solid timepiece. The 37mm timepiece is elegant and versatile for most occasions, and it is able to perform as and when it is required to do so. The watch is priced at ¥340,000 (approximately S$4,135), and we think that it is simply a perfect watch for a politician who wants to keep him or herself under the radar. 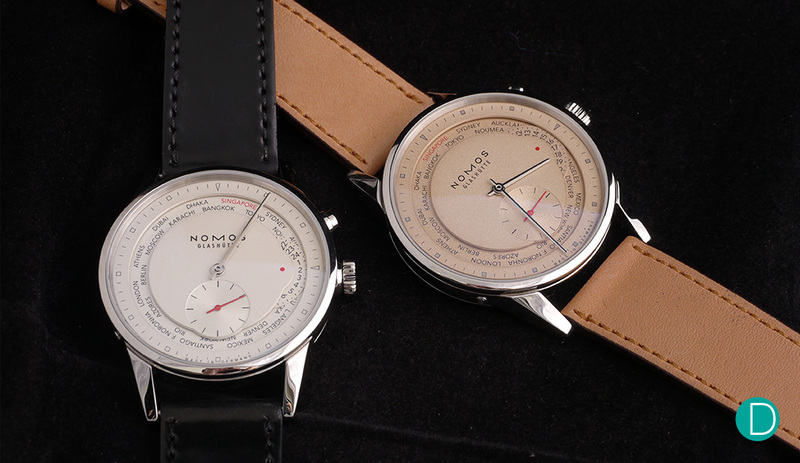 A pair of NOMOS Glashütte Zürich Weltzeit in different dial variants. Next up, we have yet another strong contender from Germany, in the region of Glashütte. Cue the brilliant NOMOS Glashütte Zürich Weltzeit. NOMOS is another brand that had captured our hearts. The brand is well-known for two things: its simple and minimalistic Bauhaus-inspired design, as well as the production of in-house movement. The latter is certainly impressive, considering the price-point that this Glashütte-based watch manufacturer is charging. The Zürich Weltzeit is one of our favourite pieces from the collection. It has a wonderful world time complication, and yet NOMOS had managed to keep it simple and clean. It is also easy to adjust the second time-zone, as the user is only required to push the button at the 2 o’clock position to get the world time function to point at the desired time-zone. Priced at S$8,030, the 39.9mm Zürich Weltzeit is certainly an interesting and functional timepiece. It is also very discreet and elegant, which is an additional plus point. Our choice for this particular model is the blue dial variant, but we reckon the other options are equally as good too. This is a great watch, and we do think that it is able to give it competitors a run for their money. A pair of the L.U.C GMT one. It is available in both Stainless Steel and Gold models. 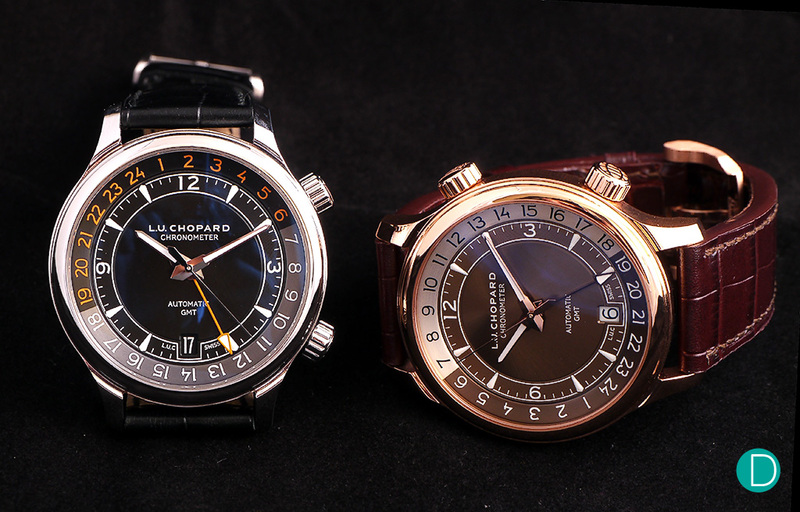 We move on to yet another dual time-zone watch: the Chopard L.U.C GMT One. The L.U.C. GMT One is an interesting timepiece from the Geneva-based manufacturer. Launched in 2016, the L.U.C GMT One attempts to offer collectors a more contemporary timepiece – a move away from the traditional dress watches that the brand is normally associated with. The 42mm timepiece features an inner rotating bezel to display its second time-zone, and the GMT hand can be adjusted with the crown at the 4 o’clock position. The piece de resistance for the timepiece perhaps lies in its movement. The watch is fitted with the Calibre L.U.C 01.10-L, a self-winding COSC-certified movement that boasts a decent power reserve of 60 hours. The finishing is pretty good too, with some of the highlights including Côtes de Genève and chamfered edges for the bridges. The end result is pretty good. The L.U.C GMT One is priced at S$13,630. Although the watch is slightly pricier than the other two watches above, but we think that both its functionality and quality make up for the premium in its price tag. It is also a handsome piece, and we are sure that it will look appropriate in any kind of formal occasion. 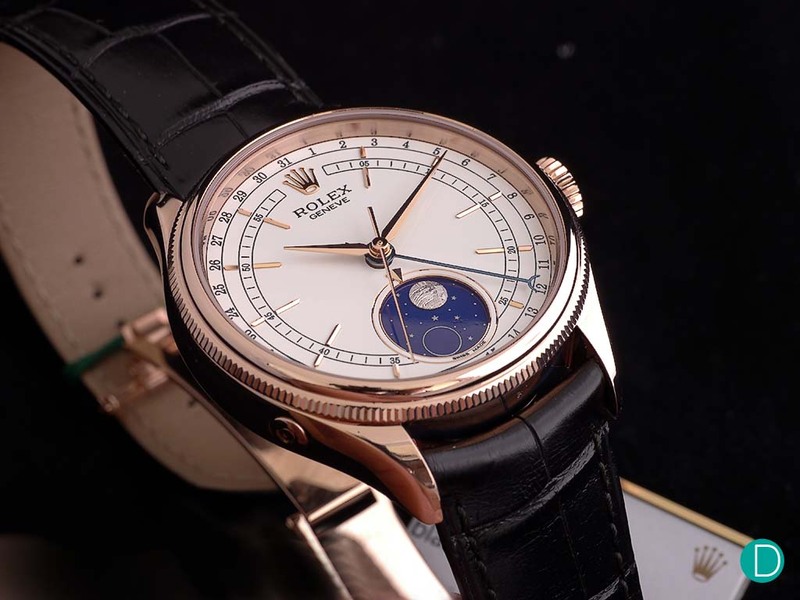 The Rolex Cellini Moonphase is an extremely underrated piece from the Rolex family. While Rolex may be one of the most well-known brands in the world, there is a collection from the watch manufacturer that is perpetually in the shadow of its siblings. But here’s a well-kept secret: the Cellini collection is an underrated, but marvellous collection. And we think the Cellini Moonphase in one of Rolex’s best offerings to the world. When it was released in last year’s Baselworld, the Cellini Moonphase had caught our attention. What we have here is a stunning dress watch, which is drastically different from the iconic sports watches that they are known for. But that’s not it. The attention to detail on this timepiece is simply immense. One particular component that is of interest is its moonphase indicator. This one is special – the disc is made of blue enamel, and the moon is produced from a meteorite. It is nothing short of spectacular, and we dare say that this moonphase is capable of beating those that are manufactured by some of the best watchmakers today. The watch is powered by Rolex’s Calibre 3195, which is an automatic movement that boasts a decent power reserve of 48 hours. The 39mm timepiece, besides its moonphase indicator, is also equipped with a date display. It is priced at S$35,980, and we reckon it is an interesting alternative from the usual big names in the high-end luxury watch category. 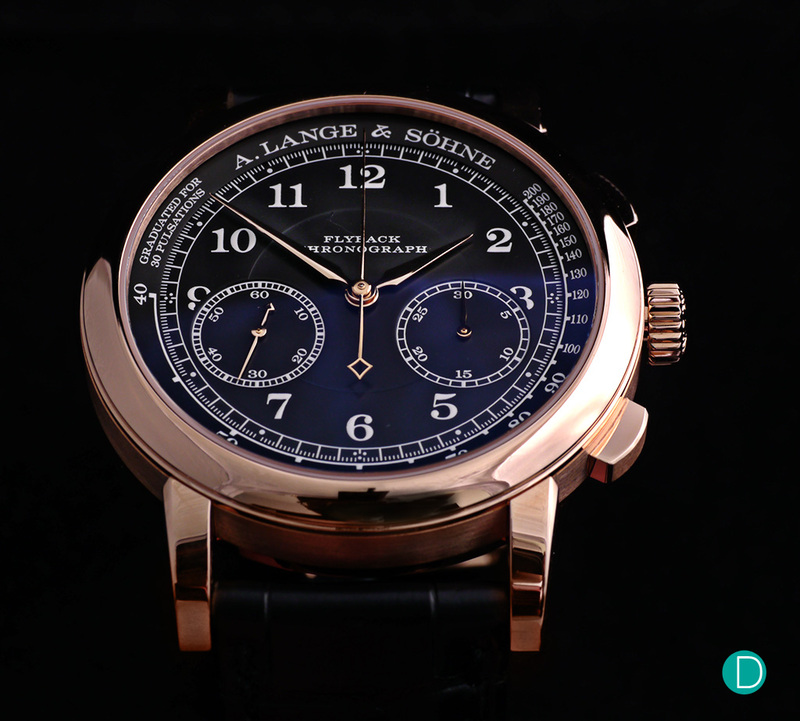 The A. Lange & Söhne 1815 Chronograph is simply stunning as hell. A. Lange & Söhne – where do we begin? The famed Glashütte-based watch manufacturer, which had only restarted its business a tad more than three decades ago, is already building a reputation for itself. The watches are beautiful, but its craftsmanship is of another level altogether. It is no wonder that the brand is pretty much up there with the “Holy Trinity“. The 1815 Chronograph is something that we have always adore. What sets it apart from the celebrated Datograph is its lack of the big date display, as well as the power reserve indicator (for the newer model). In our humble opinion, we don’t think that we need these two functions. In fact, the 1815 Chronograph perhaps encapsulates what we think the perfect Datograph is: a simple double-register chronograph, with nothing else. Its simple and clean design is amazing, and we really like how classy this particular piece actually looks. The 39.5mm timepiece is fitted with the in-house designed and manufactured Calibre L951.5. It is the same movement as the original Datograph, sans date and power reserve displays. The finishing is brilliant as usual, and we even considered it as a work of mechanical masterpiece. It is really mind-blowing. The 1815 Chronograph comes with a price tag of S$70,400. It is around 30% lesser than the Datograph Up/Down, and we reckon that this is the piece that we will prefer – if we have the financial means to do so. It is simply an amazing timepiece, and we do think that A. Lange & Söhne is going to have a hard time to one-up the 1815 Chronograph. 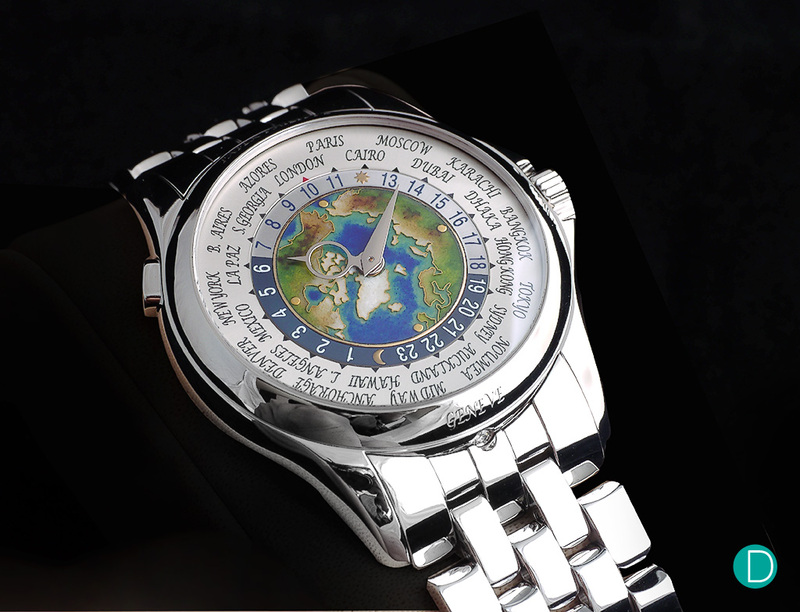 The Patek Philippe World Time Ref. 5131/1P-001. We round up the article with yet another powerhouse, in the form of Patek Philippe’s World Time Ref. 5131/1P-001. There is always something about world-timers from Patek Philippe, and the Ref. 5131/1P-001 is no exception. But this particular piece is a wee bit more spectacular than the others. For those with keen eyes, there are two things that stood out for this piece. The first one is the diamond in between lugs at the 6 o’clock position, which signifies that this is a platinum watch. The other lies in the dial, in which the map is finished in cloisonné enamelling. It involves the bending of gold wires to form the desired designs, before it is being filled with enamel paste and fired in the kiln. The end result is a spectacular dial, as seen in the picture above. The watch is powered by the Calibre 240 HU, which is the derivation of the evergreen Calibre 240. Its finishing is spectacular as usual, and the movement now features the newly patented Spiromax balance spring in Silinvar manufactured in-house. Finally, the 39.5mm watch is priced at S$171,700. It is pricey, but then again, this is a magnificent timepiece that is pretty much like no other. In this week’s article, we think that we have provided quite a nice selection of watches for leaders. The first part of the article focuses on modestly priced watches with an excellent value proposition. The second one focuses on more extravagant pieces, meant for corporate bigwigs who wants something that is substantial. There are no right or wrong choices – it is down to personal preferences really. Even for corporate leaders, we have seen rich and powerful individuals like Li Ka-shing who is more than happy with his $50 Casio watch. On the other hand, we also have politicians who enjoy expensive watches as well. The key is to spend within one’s means, and spend money that is rightfully gained. So, what are your thoughts on our selection? Let us know in the comments section below.